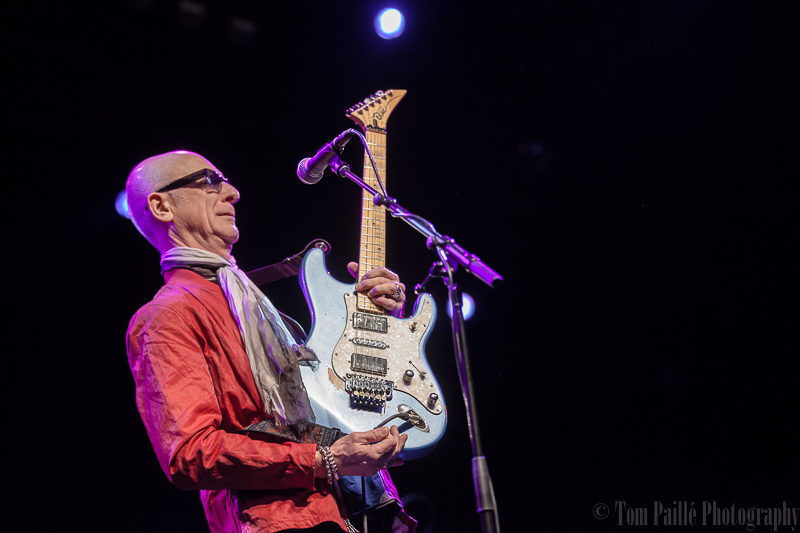 Kim Mitchell did his rock’n’roll duty again last night at the River Rock Casino show theatre in Richmond, B.C. A standard shoot approval for the first three songs, no flash, no review, no problem. A big bonus was that there was no restriction on shooting location with only the house photographer to share the space with, until all the ‘woohoo’ girls rushed the stagefront. With the kind of crowd that Kim draws, it meant they were polite and gave me space. Those three songs went fast and with the same guitar and no solos, the variety of shots was a bit limited due to the untimely death of my wide angle lens. All shots were made with a Canon 5D mkii and a Canon 70-200mm f/2.8 II LS lens. Lighting ranged from the dreaded red to mostly white spots on each player.